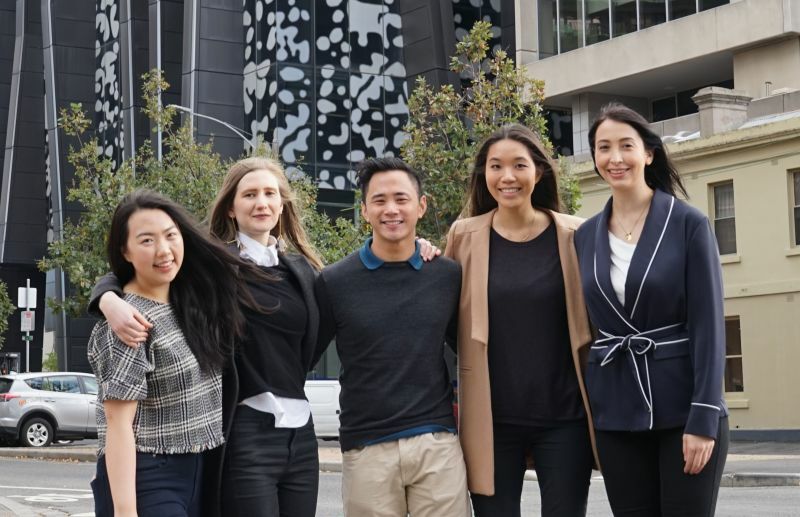 For many students at Melbourne Business School, the Melbourne Business School Student Association (MBSSA) is a hub of activity, with their events a highlight of the year. The connections they make through the association are relationships that will stay with them long after graduation. At the heart of it all is the MBSSA Executive team, and with a new semester comes a new council. We took a few minutes to meet them and find out about their plans for the rest of the year. When you sit down with the MBSSA council, one thing is clear from the get-go, they’re a tight-knit group of friends. It takes all of ten seconds for the chatter to begin – they know each other’s schedules, coffee orders and are quick to finish each other’s sentences if someone misses a beat. You could be forgiven for thinking you’ve landed on a sitcom set, or in a Central Perk pop-up. With all that said, it’s an incredibly warm reception, and while you might expect to feel like an outsider in the presence of such a tight-knit group, that isn’t the feeling at all. Say hello and you’re in the club, just like that. “Most of us have known each other for at least a semester, so it’s not like we’re back on page one coming into these roles. It’s a really accepting group, that’s a big part of the culture at MBSSA. Inclusivity is something the organisation couldn’t work without, we have a lot of diversity, so we try to create something for everyone. It really is a wee little family, everyone is adopted, everyone’s from everywhere.” says MBSSA's CFO, Angie Zhang. And as the leaders of MBSSA, it often falls on the council to be familiar faces, and serve in an outreach capacity. “The faculty puts an emphasis on networking, so I think a lot of students come into MBS looking for opportunities to meet and connect with new people. When we have events we try to be there, then say hello when we see people around campus, so they have a familiar face. I think that’s really important when you’re starting your masters, otherwise, it can all be quite daunting.” says Imagen Kroker, COO. MBSSA’s events are also a major selling point, particularly for those students who are interested in networking. The new council has already started working on their major events for the year: the upcoming case competition at the beginning of the second semester, and the Business Ball. “The case competition is another thing that can be kind of daunting, but students get a lot out of it – we’re setting up workshops, so that they can get some training and pick up some of the skills that are useful for the competition, but are also really important for their studies and the workplace as well. This is a major focus for the end of the year, along with the Business Ball. We really want to cater to everyone, so we’re trying to up the capacity for that event by quite a lot.” says new President, Laura Ha. Look out for the huge range of MBSSA events this year. For more, head to mbssa.org.